What is the anti ageing craze in Korea? Here is the background. A skin rejuvenation treatment took Korea by storm more than a year ago, with Korean celebrities flocking to clinics to have this treatment on a regular basis. Korean women in their 30’s~50’s are so into REJURAN HEALER | REJURAN Review| REJURAN KOREA | REJURAN SINGAPORE that we have to discuss it here today. Simply the hottest treatment in town. and in Singapore, it IS the hottest treatment. What is ‘REJURAN HEALER’ and how does it work? It is a Polyneucleotide filler, aka a DNA filler. Polynucleotides are scientifically proven to assist with wound healing. REJURAN HEALER delivers DNA extracts ( polyneucleotides) into your skin. This repairs damaged dermal cells and keeps your skin healthy. In 7 days from the initial injection, you can feel your skin smoother and can notice enhanced firmness after 4 weeks. It gradually improves the general appearance and condition of your skin, keeping your skin young and healthy. This is something that other fillers cannot do. This injection is recommended as an anti-aging treatment. What is the difference between Rejuran, Skinboosters and botox treatments? HYALURONIC ACID based SKINBOOSTERS: Keeps dermis moisturized for longer time. Mainly for hydration. Can REJURAN be combined with other treatments? Combination treatment is the rage in Korea, Taiwan and here in Singapore. Many of you are currently undergoing treatments for various indications. The good news is yes. Rejuran enhances the efficacy of your existing treatments. These are the hottest combination treatments for rejuran presently. ACNE | ACNE SCARS – Rejuran is used together with microbotox to reduce oil production and skin redness. WHITENING – Rejuran is combined with laser toning to enhance skin brightening and whitening. NECK LINES | FOREHEAD LINES – Rejuran is combined with microbotox and dermal fillers to soften those extremely hard to treat neck lines. DARK EYE CIRCLES – Rejuran-i is deposited in microdroplets to reduce appearance of dark eye circles. ANTI AGEING – Personally, in my experience, I find combination of Rejuran with my proprietary boosters achieves very good anti ageing results. It is derived from Salmon fish germ cell extract. It can help in the following? Due to its superior safety & efficacy, Rejuran Filler can be combined with other treatments. It can also be used alone to bring natural revitalization of the skin. In my practice, I combine Rejuran with other ingredients to give my patients the best results. Microinjector machine is used to deposit tiny amounts under the skin. Immediately after the injections, the skin at the injection site may swell up; but this will go away in about 1 or 2 days. Mild degrees of temporary redness, swelling and small risk of bruising. Better oil and water balance. Reduced sebum. Are there REJURAN Before and After pictures? As per MOH guidelines, we do not post before after pictures. However, we can share with you more information at consultation. So what is the clinical evidence for Rejuran for skin rejuvenation? We know that fillers are not only for volumising, they also have a role in skin hydration and rejuvenation. Let me first discuss skinboosters, and share with you the evidence behind it. Kim et al 2014 conducted a study on 150 patients who had 1,000 injections of 1 cc Skinboosters-HA by injector gun. The patients were examined after 1, 2, 6, 12, and 24 months. Changes in skin texture were determined with regard to skin roughness and morphology, dermal hydration by electric resistance, dermal thickness by ultrasonic imaging, and biopsy. An intra-individual study was also performed to compare changes in skin texture between dermal and subdermal injections. Results show that the skin texture, hydration and thickness significantly improved after this procedure. The dermis of the face and hand were thickened about 4% after dermal injection. The injection depth was confirmed by biopsy. Injections into the dermis changed both skin texture and thickness. Park, Kui Young, et al 2016  conducted a study on skin rejuvenation with Rejuran. 5 Korean women received 4 injections of long-chain PN filler in two-week intervals for skin rejuvenation. 0.05 mL of material was injected in 40 points on each side of the cheek. The pore and skin thickness were markedly improved in the patients in their 30s, whereas skin tone, melanin, wrinkles, and sagging were noticeably improved for patients in their 40s. There are no serious side effects. In conclusion, intradermal long-chain PN filler injection seems to be an effective and safe treatment for skin rejuvenation. Pak, Chang Sik, et al 2014 conducted a clinical trial and animal study comparing Rejuran to a Hyaluronic acid based filler. In the clinical trial, 72 patients were randomized to receive Rejuran® treatment for crow’s feet on one side and Yvoire-Hydro® on the contralateral side, at a ratio of 1:1. Repeated treatments were performed every two weeks for a total of three times, over a total of 12 weeks’ observation. All injections and observations of efficacy and safety were performed by the same two investigators. In the animal study, the Rejuran® group showed similar durability and inflammatory response to the Yvoire® group.Upon efficacy assessment, the Rejuran® group showed the greatest elasticity and collagen composition, and a significant difference in skin surface roughness and wrinkle depth. In the clinical trial, the primary and secondary objective efficacy outcome measure showed no statistical significance between the two groups, and in safety outcomes there were no unexpected adverse effects. In summary, there is a role for hyaluronic acid skinboosters and polyneucleotide fillers in skin rejuvenation. Existing studies are a handful primarily because these treatments are relatively new. As the studies are of a smaller scale, and of lower quality, larger and more robust clinical trials are required to better evaluate the safety and efficacy of such treatments, especially so for the polyneucleotide filler. So I hope this has been helpful. Kim, Jongseo. “Effects of injection depth and volume of stabilized hyaluronic acid in human dermis on skin texture, hydration, and thickness.” Archives of Aesthetic Plastic Surgery 20.2 (2014): 97-103. Pak, Chang Sik, et al. 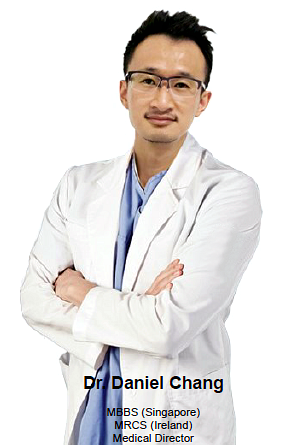 “A Phase III, Randomized, Double-Blind, Matched-Pairs, Active-Controlled Clinical Trial and Preclinical Animal Study to Compare the Durability, Efficacy and Safety between Polynucleotide Filler and Hyaluronic Acid Filler in the Correction of Crow’s Feet: A.” Journal of Korean medical science 29.Suppl 3 (2014): S201-S209.